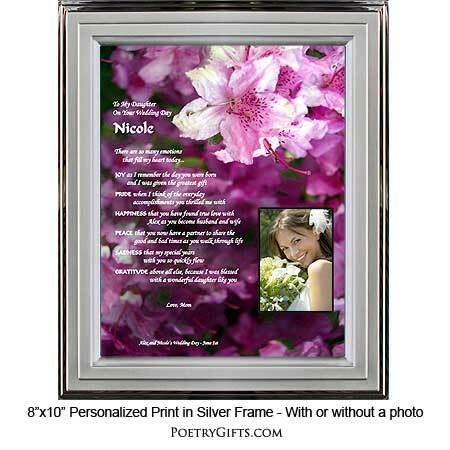 Honor your daughter on her wedding day with this floral personalized wedding keepsake. This personalized gift has an optional photo area to insert a photo either before the wedding or a wedding photo can be inserted after the wedding day. 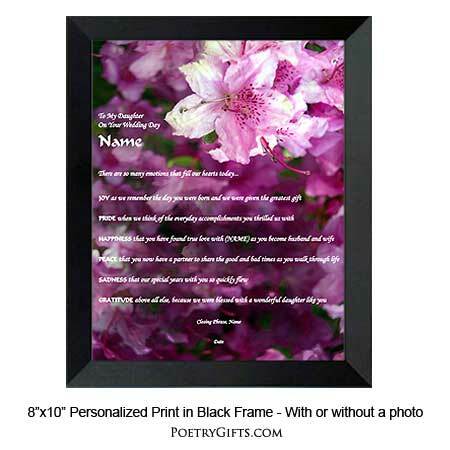 Perfect personalized gift from mom, dad or both parents to commemorate her special day. 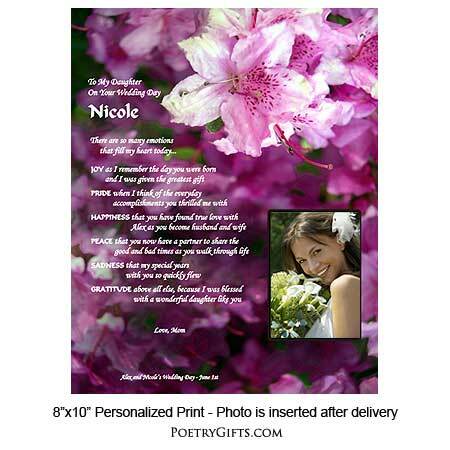 Our Poetry Gift for a Daughter on Her Wedding Day makes a wonderful shower gift for the bride. It's also a very appropriate gift to give her the night of the wedding rehearsal or even surprise her with the morning of. This wedding keepsake speaks what's in your heart and let's your daughter know how proud you are of her and how happy you are that she has found the love of her life. Answer the Personalization questions above and let us create a wedding keepsake for your daughter that she can display for years to come. A meaningful and thoughtful wedding present from mom and dad...what bride wouldn't love that! I was looking for a special gift for my daughter who was getting married abroad! 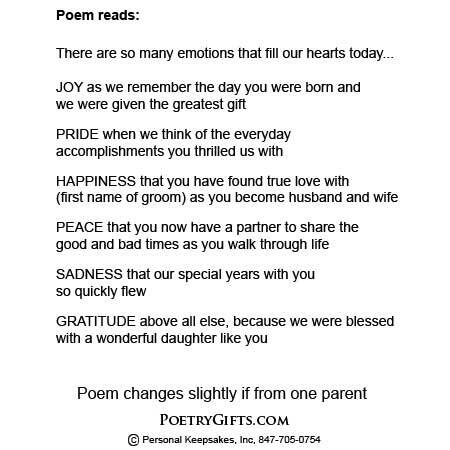 Since i couldn't be there this poem was perfect! It arrived in plenty of time! Thankyou so much! !